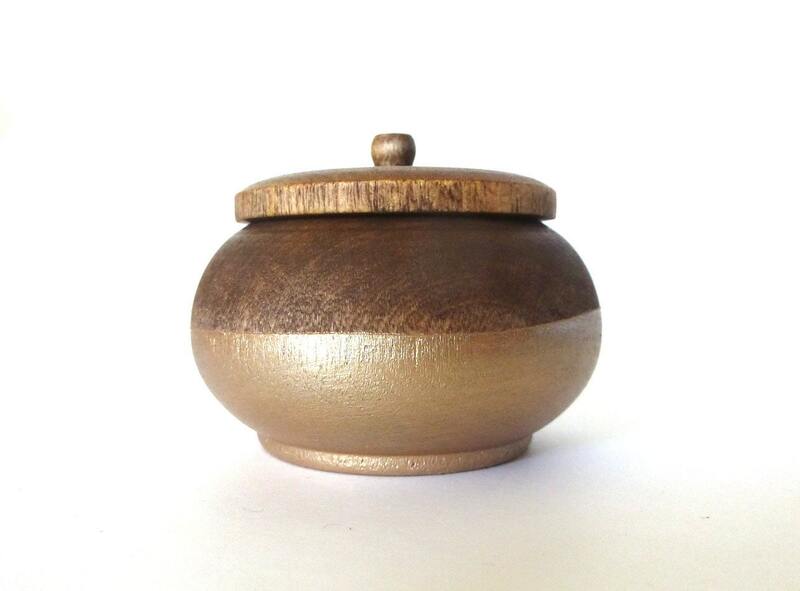 Store your jewelry or other tiny items in style in this tiny round jewelry box, hand-stained in English Walnut and painted metallic rose gold. All my items are handpainted and sealed. Because of the natural materials used, variations may occur. This item is not recommended for use with food.